I've Improved My Health, You Can Too! I am not an exercise physiologist, personal trainer, or even some kind of fitness model or celebrity. I am a regular mom, probably a lot like you. I have all the ordinary struggles. But I have lost actual inches and weight with certain methods that I want to share with you. And I've found healing from a number of health problems through changes in diet and exercise. You see, I have six children. I was blessed to carry each one to full term. 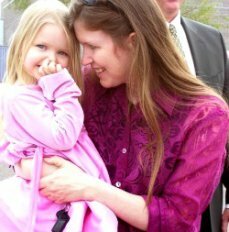 No matter how slim (or not-so-slim) I may have been at the start of a pregnancy, I always gained a lot of weight. I've gained (and lost) over 300 pounds total in the last 18 years. From time to time, friends and family members have noticed I've lost weight, and asked me how I did it. It can be a hard question to answer, in the course of a normal conversation. Because the answer, for most who get stuck at a certain weight, is not as simple as "eat fewer calories than you burn." I hope it will be a help and encouragement to you. 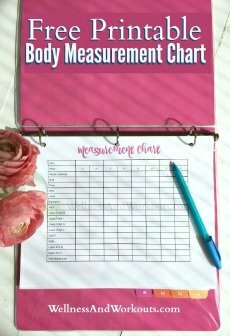 Click now to get your FREE Printable Body Measurement Chart! Like I mentioned, above, I am a wife and home educating mom to six children. We enjoy life on a few acres in sunny Arizona with a dog, a couple dozen chickens, and occasional excitement from a rattlesnake. I'm originally from the suburbs near New York City, on beautiful Long Island. Art and literature were my favorite subjects while in junior high and high school. I also enjoyed participating team sports, track and field, and ice skating. I love downhill skiing, but don't do too much in my current season in life. I have a Associates Degree in Advertising Design from S.U.N.Y. F.I.T. in New York City. After my time at F.I.T., I went to Colorado and studied to earn a Bachelor's Degree in English with and emphasis on both literature and writing from Denver University. So I have kept to my studies. Most of my self-education since college has revolved around fitness and nutrition, home education, and learning more about the Bible. I love to read books, and do research online. Post by Wellness and Workouts. I have a contact form for you to use, if you have any questions or comments about this site. Q.What Font do you use? A. Most of the text on these pages is Palatino. Q. Do you use Wordpress to publish this site? A. No, though I have used Blogger, Wordpress.org and Wordpress.com in the past. After watching this video, I found a better way to publish my thoughts online. No technical knowledge is required. I do not intend to go back. With this platform, I get so much guidance, help, and support. It is incredible. It already gives me a more regular traffic from the search engines than I had with those other platforms. And when a bigger blog shares one of my pages, it always handles the high-volume traffic really well. No crashing. No need to panic or try to change to a bigger server. I just get to enjoy the extra traffic! ...please, say "hello" in the comment box, below, and tell me a bit about yourself!